Wow can you believe it is August already, where has 2013 gone? Whilst August generally signals the beginning of many winter sports finals and some warmer weather, for the team at koolaman designs we are thinking about Father's Day. With September 1 knocking on the door, we are in full swing to ensure as many Father's as possible receive their very own piece of koolaman designs. Traditionally, we have a lot of Dad's and Husbands organising koolaman gifts for their partners. If you have not already done so, we think 2013 is the year to organise something special for the Father in your life. Dads can be hard to buy for and it is always easy to head to the nearest shop for jocks, socks, aftershave or hankies. So in 2013 let's think outside of the square and spruce up the Father in your life with a funky piece from our Hide Collection or something classic from our Silver range. Head over to our Online Store to check out our beautiful collections. 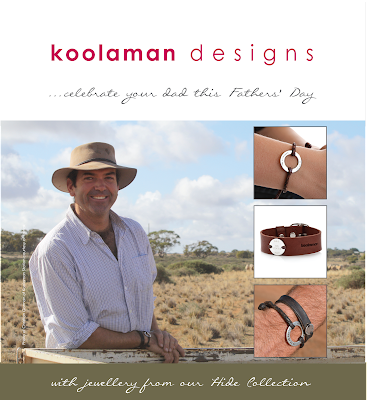 In addition to purchasing your own piece for Father's Day, we suggest you also enter our koolaman designs Father's Day giveaway. You could win that special piece for your Father and then would be celebrations all round. You do need to be quick for this one though, there are only 4 days remaining until the competition closes. There are 5 fantastic prizes to win and entry is super easy. Gus Pendant (with sterling silver pendant), $240, includes hand stamping and postage. Banjo Pendant (with sterling silver pendant), $150, includes hand stamping and postage. Sterling silver William cufflinks, $200, includes hand stamping and postage. 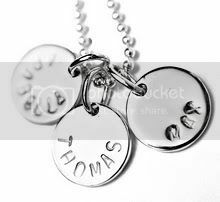 Sterling silver Edward keyring, $210, includes hand stamping and postage. Don't waste time, click and enter now.